Another post on geologist Steve's weird mental meanderings. Have you ever wondered why cancer is called cancer? Cancer is a nasty disease (really a group of diseases) but also an astronomical constellation (and astrological sign of a crab). What the hell do those have to do with each other? The ancient Babylonians were excellent naked-eye astronomers and observed the path of the Sun and planets through the sky over the course of the year. This is the ecliptic which they divided into 12 regions, each marked by a specific constellation (called the zodiacal constellations). Cancer the crab is one of those constellations. Why is this upside-down "Y" pattern named after a crab? Who knows. 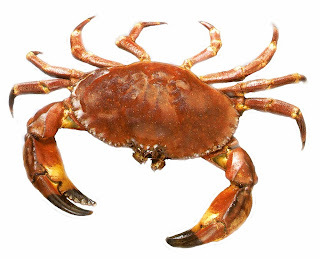 All we can say is that some time prior to 1,000 BCE, a Sumerian in the Tigris-Euphrates Valley believed it looked like a crab and called it al-lul (alluttu in Akkadian). When Babylonian texts came into ancient Greece, the constellation was called καρκῖνος (karkinos), the greek word for crab. Cancer in English. OK, so why do we now use the term cancer in medicine? What's it have to do with crabs? 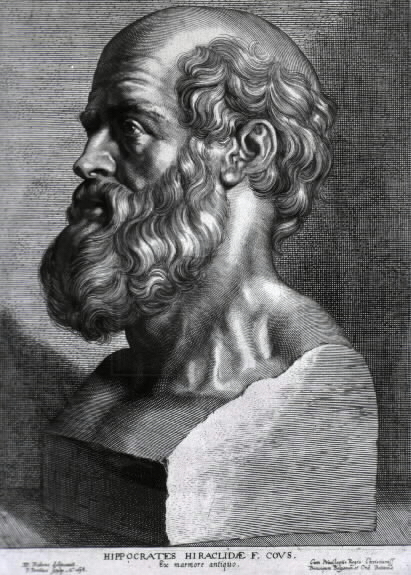 Blame the ancient Greek physician Hippocrates (c. 460 BCE – c. 370 BCE). Cancer as a disease has been around as long as man and Hippocrates was very familiar with its end-stage manifestations. No one's quite sure why he used the term καρκῖνος or crab to describe malignant tumors (carcinomas) but a number of theories have been proposed. Some say it's named for the hardness of some malignant tumors (like a crab's carapace). Others claim the name is from the fact that tumors can spread tendrils throughout the body (like a crab's legs). Or maybe it's due to the sharp pain and difficulty in eradicating it from the body (like a crab's tenacious and painful pincers). Who knows? The term stuck, however, and Greeks following Hippocrates continued to use the term. Whatever the etymology, it's a word and a diagnoses that no one ever wants to hear. Cute little crustacean has a bad rap!